By purchasing your 2019/20 Entertainment Book from RSPCA ACT, you can help to care for abandoned, abused and neglected animals. The Entertainment Book is packed full of fantastic offers and discounts to a great selection of restaurants, arts, attractions, hotel accommodation, travel and much more throughout Canberra, Batemans Bay, Snowy Mountains, Thredbo and Surrounds. 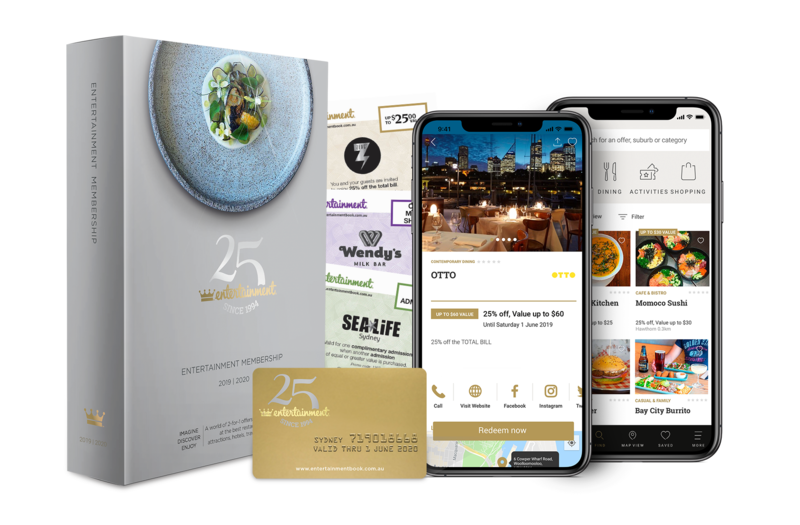 You can choose from the Entertainment™ Book Membership, which comes with a Gold Card and vouchers, or the Entertainment™ Digital Membership, which is accessible through your iPhone or Android smartphone, so you have your offers with you wherever you go. Preview some of the deals available through the 19/20 Entertainment Book by clicking on the book to the left. Not only will you receive 25 to 50% off and 2-for-1 offers many of the best restaurants, hotels and attractions in your area but you’ll be supporting our efforts to help all creatures, great and small. Please choose your preferred method of collection when making your order. Your Entertainment Book can be posted to you via Express Post, or eParcel (which includes a tracking number). Please allow 48 hours for your order to be processed and shipped. Books can be collected from our Weston Creek shelter at 12 Kirkpatrick Street, Weston Creek (just off Cotter Road) during opening hours. Please allow 48 hours for your order to be processed and ready for collection. Please note that all order made after 4pm on a Friday will not be available for collection until 9AM on Monday. Digital memberships can be immediately activated from your smartphone. For the Digital Entertainment Book FAQ please click here.